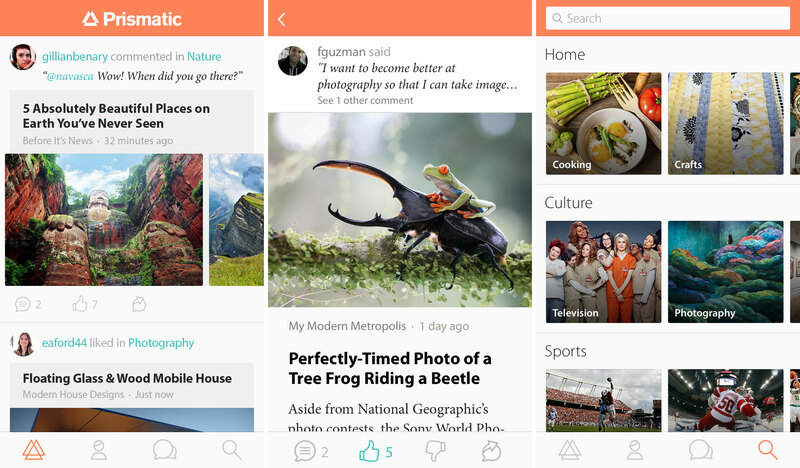 Personal newsfeed aggregation service Prismatic is launching a new version of its iOS app in a move that it says signifies the next evolution of its mission. In this release, the app has undergone a significant overhaul in an effort to improve the interest-based discovery and sharing process. Users will find among the noticeable changes that there is a brand new News Feed, the addition of profiles, enhanced actions, and more. Of course, this isn’t the first time that Prismatic has been on mobile — prior to today, it functioned like an RSS feed reader like Feedly or the now defunct Google Reader. 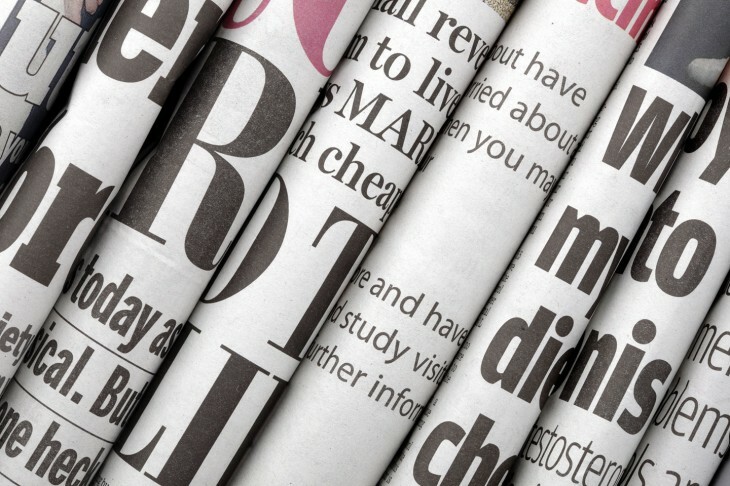 Now, it’s equating itself to being the equivalent of a modern-day Google News service, but powered by social. 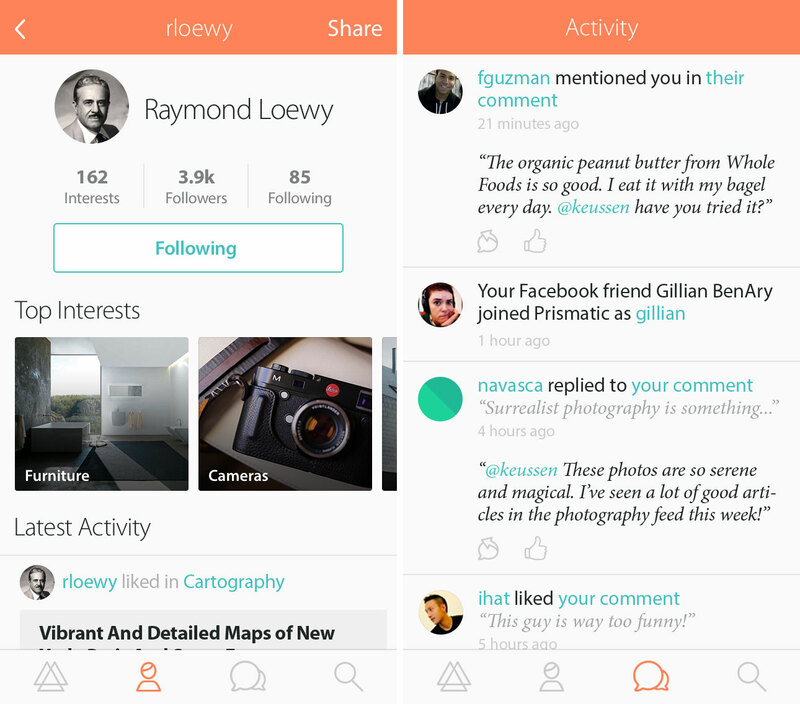 After you’ve signed into the updated app, the first thing you’ll notice is a redesigned News Feed. The color scheme has been modified and even the algorithm has been adjusted so that now you’re not only going to see topical content, but also activity from your friends, whether it’s commenting, thumbing it up or down, and more. The News Feed also allows you the opportunity to discover new topics that you may not be following, based off of your friend’s activity. Overall, company CEO Bradford Cross says that it’s “pretty vanilla” — something you would get on a social network. Profile pages are now featured within the app and look similar to what you would have on Twitter. It’s here where you’ll be able to not only see the latest activity from a particular user, but also their interests. Cross notes that items listed in this interest section are not ranked based on the user’s preference, but actually more on how active they are with each respective topic. I’ve told Prismatic that I’m interested in topics such as technology, photography, Facebook, business, apps, and others — my profile displays photography as the number one interest because I’ve either shared, commented, or read articles related to that more in the app. This activity-based ranking is fascinating because it allows users a better understanding of who someone really is. It’s not subject to someone who wants to convey a specific personality — it’s representative of all the things you’re genuinely interested in. When we spoke with Cross about today’s update, he indicated that this version is a culmination of about two years of development work. Yes, Prismatic’s iOS app did exist, but he thought of it more like a proof of concept app — just to show the potential of its technology backend while also helping to build a massive database that now culls over 5 million new stories every day and features more than 10,000 interest topics. Cross is hoping that with today’s release, users will have a better understanding of what Prismatic really does — this was one of the biggest problems that it faced. The ones that managed to continue using it beyond day two were finding it quite useful. However, the recognition issue still remains. So what’s in the future for the product? Cross laid out his roadmap saying that for at least the next year, Prismatic will focus on sharing and growing its user base. Then, it’s going to focus on actions and content type as right now, it’s only pulling in stories and photos, not videos or product listings. In a way, one could see Prismatic rivaling Flipboard with its machine learning and automatic aggregation technology. While much has been said about its iOS app, an Android version is being worked on and will be available “pretty shortly”. Read next: What does the future of data centers look like?